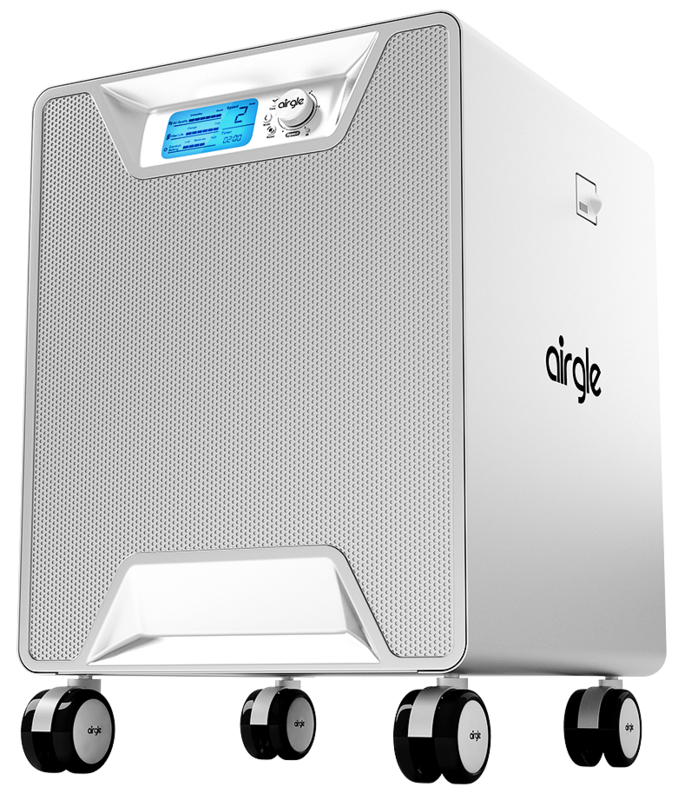 This product is specially designed to clean small to medium-sized rooms. 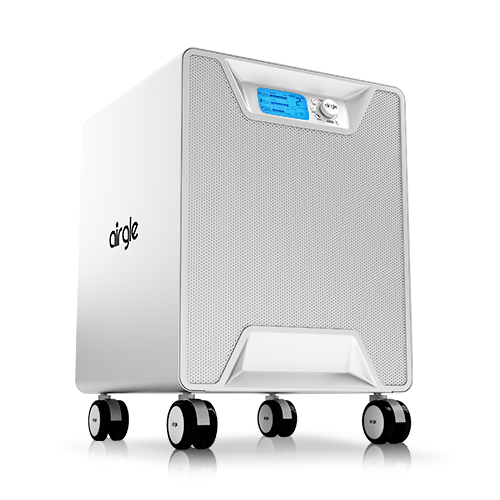 The Airgle AG500’s proven effectiveness at removing large varieties of particulate and molecular air pollutants makes it our most popular general-purpose air purifier for small/medium sized rooms. Third party testing results required by AHAM, AG500 certified CADR present as follows: Tobacco Smoke >238 CFM, Pollen >239 CFM, Dust >253 CFM. 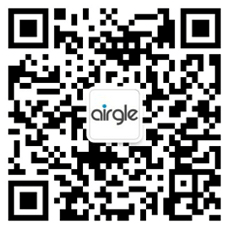 captures chemicals, tobacco smoke and odors. 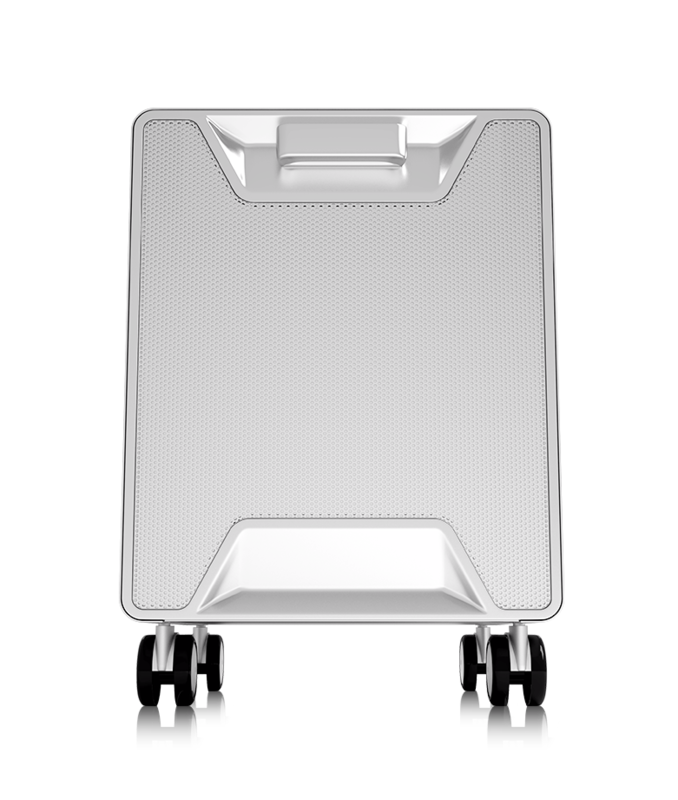 Features 38 sq. 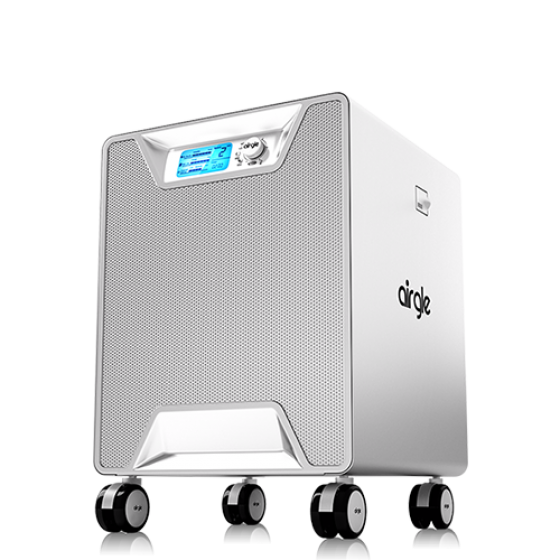 ft. of premium HEPAfast filter that removes PM2.5, dust, pollen, pet dander, tobacco smoke and other indoor airborne pollutants. 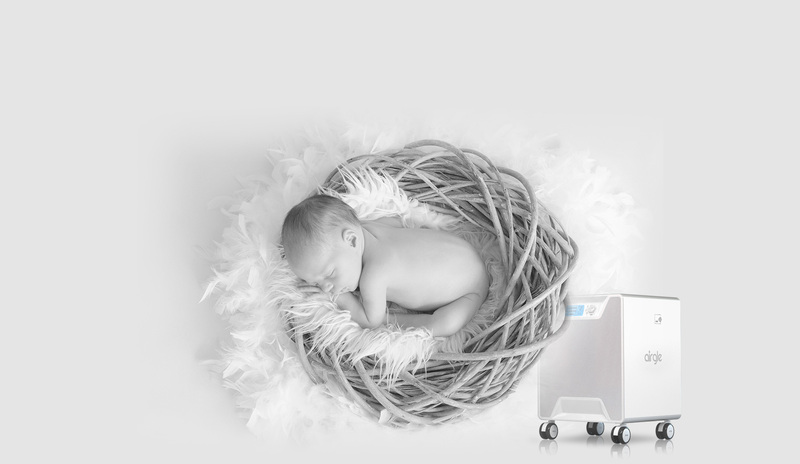 Equipped with 360 degree air circulation technology, our purifiers provide maximum air flow and speedy purification. For example, a living room of 369 sq. ft. will undergo a complete circulation five times per hour. 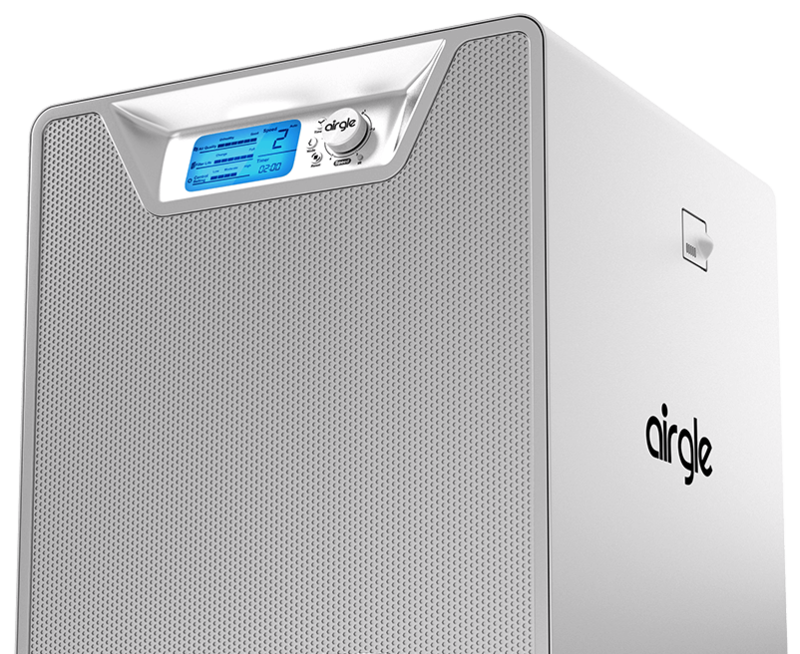 Bask in clean indoor air like never before. 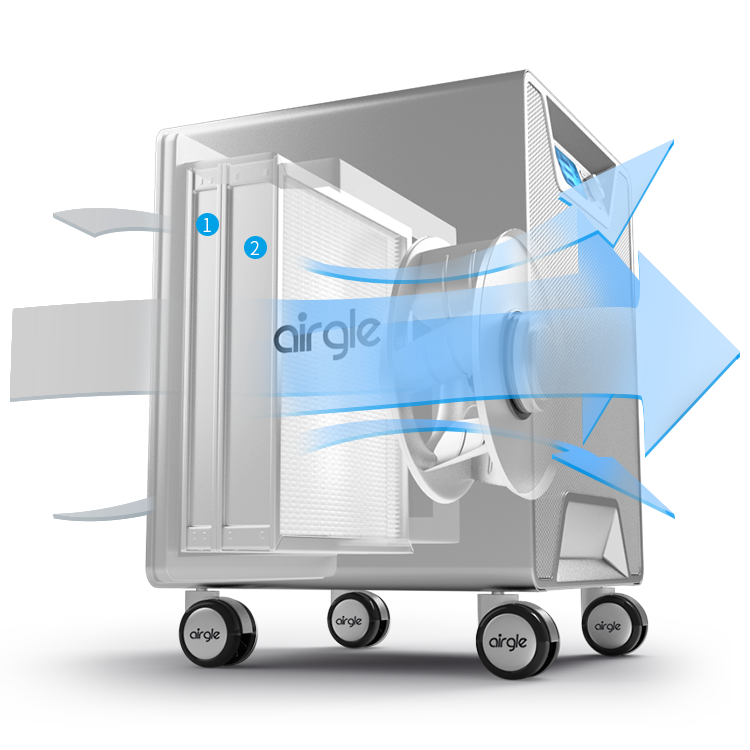 Coverage area: 369 square feet with five air circulations per hour. 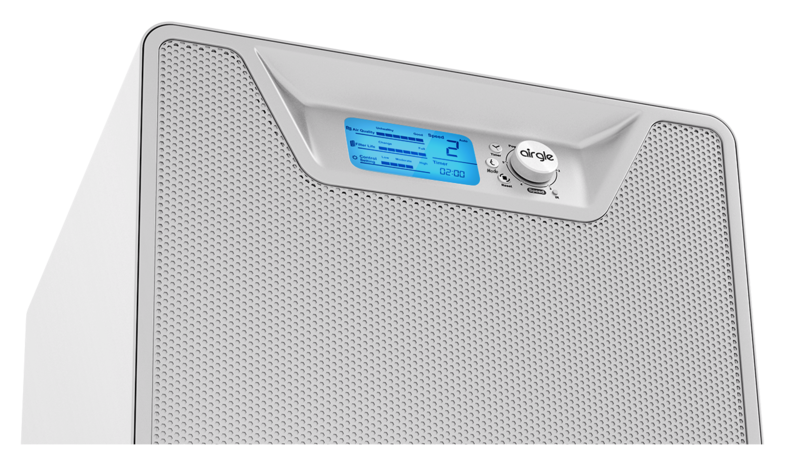 Airgle AG500 uses propriety silent motor technology that purifies the air while you enjoy an uninterrupted, peaceful nights sleep.